The 6-pin diagnostic port on the Apple Watch charges it faster than induction. The “secret” developer port on the Apple Watch has yet to be harnessed by third-party developers, but it definitely possesses cool powers, as this new video shows: The tiny port hidden by the Apple Watch band can actually charge your device faster than normal. 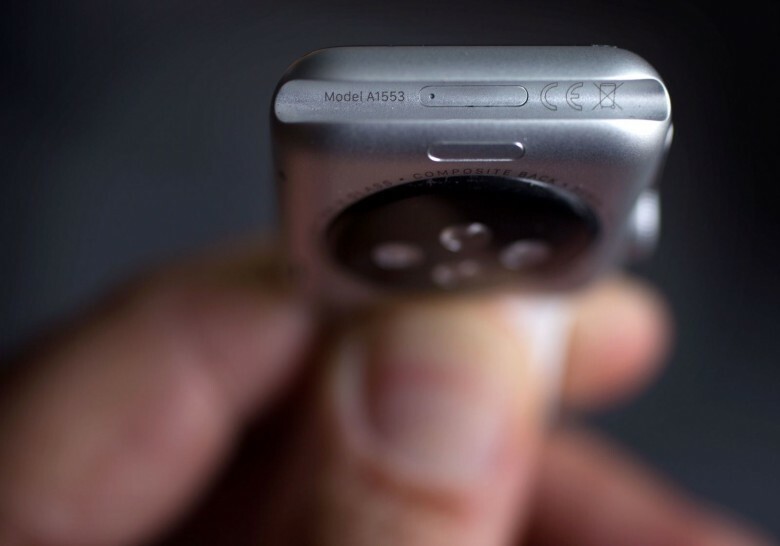 Apple Watch owners may have noticed there’s a tiny port hidden inside the groove of the bottom band connector. 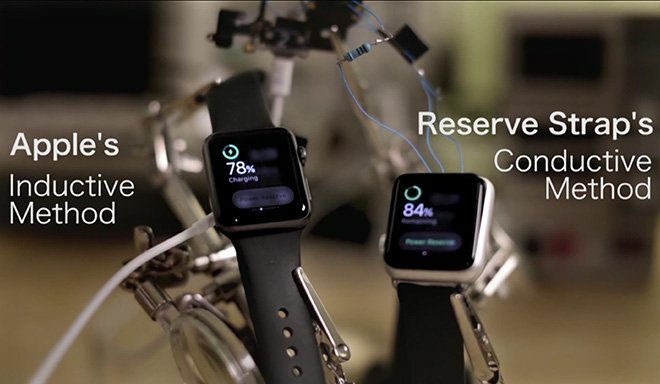 Before the watch’s release there was some speculations whether the port just be used for diagnostics, but the Reserve Strap have discovered third-parties can use it to recharge the smartwatch. The company originally developed an Apple Watch battery band that used the inductive charge to transfer power. Now that they’ve had time to dissect the Apple Watch they’ve found out you can just transfer battery power straight through the port, and they’ve come up with a much more elegant design to work with it.